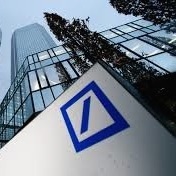 Deutsche Bank AG has announced the appointment of Sam Wisnia as its newest Head of Fixed Income & Currencies (FIC), Structuring and Head of Strategic Analytics for Corporate Banking and Securities (CB&S). In addition to his new multi-focused role, effective at the beginning of next month, Mr. Wisnia will also be joining the Global Markets Executive Committee as its newest member. He will be based out of London where he will be tasked with handling Deutsche Bank’s FIC structuring along with FX, rates and credits solutions. The role at Deutsche Bank is newly created, and as the bank’s inaugural candidate, Mr. Wisnia will also develop its analytics platform. He will be reporting to Ram Nayak, Head of Global Structuring for CB&S. “Sam’s expertise and his deep understanding of the analytics that drive strategy will be of immense value in continuing our program of optimizing resources and returns across CB&S,” added Colin Fan, Head of Markets and Co-Head of CB&S, in an accompanying statement.